Dubai: It is now developers with ready properties who are going all out on their compelling sales offers — and payment incentives to boot in Dubai. And with a home to move into or rent out, these offers are getting a lot of attention from buyers, say property analysts. 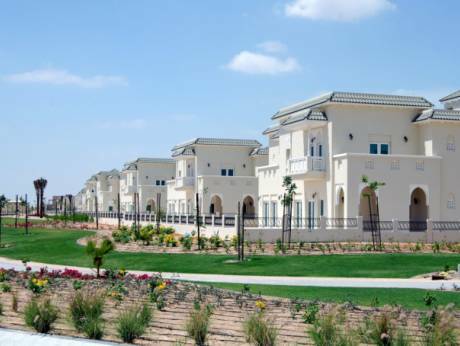 “The incentives could be about paying up 5 only per cent and the rest over seven years, as is the case with the Al Furjan villas from Nakheel,” said Sameer Lakhani, Managing Director at Global Capital Partners. “That’s quite obviously an incentive that developers with off-plan projects cannot match…without exerting significant pressure on their margins. Based on the year to end August numbers, ready still has some catching up to. During this period, 7,938 ready properties were transacted through the Dubai Land Department, based on the data from Reidin-GCP. That’s against 11,659 deals involving off-plan. But the fourth quarter is likely to see a boost in handovers and project completions, which could set the stage for more buyers to show their preference for ready homes. But Lakhani said no one should expect a sharp and significant pick up in ready sales. The gains will be more of the gradual sort. Industry sources estimate about 15,000-20,000 new homes will have been added to Dubai’s inventory this year. Meanwhile, the first residents at Dubai Creek Harbour are to move into the initial set of towers by early next year. So, which are the areas benefiting from this ready push? Dubai Marina definitely is feeling the investor affection, accounting for 1,108 sales between January to end August. Dubai Sports City continues to hold steady on the investor radar, and it’s also one location where developers are managing to pull in end users with their pay-later schemes. “These is continued revival in mid-income community demand as shown by Sports City, and it can also be seen in the villa space for Arabian Ranches, the Emirates Living communities, Jumeirah Park and Jumeirah Islands,” said Lakhani. “But with the exception of Sports City, ticket sizes continue to drift lower even in those areas where there is higher demand. This suggests a continuation of bargain hunting by end users and investors alike. The villas and apartments at the Palm Jumeirah are obvious beneficiaries, helping it become the first high-end freehold location in Dubai to record a price increase year-on-year, according to Reidin-GCP. In the year to end August, 314 units were sold on the Palm against the 355 recorded for the whole of last year, with four more months to go. An apartment there now averages Dh1,583 a square foot against Dh1,568 at the start of this year. With the villas, it is now at Dh2,352 and moving closer to the Dh2,396 from January. But at the Downtown, another location seeing a fair degree of buyer interest, average prices are now lower than in January, at Dh1,808 from Dh1,908. There was also a dip at the Arabian Ranches, now at Dh1,040 from Dh1,086. What of the off-plan market? After three lacklustre months, will developers get back to being active again? The next eight weeks will be crucial, a period which will also see this year’s Cityscape edition. Market feedback suggests a fairly busy pipeline — but they will need more than just attractive post-handover payment schemes to entice buyers. As Lakhani puts it, the “off-plan post handover incentives are at a point of exhaustion”. Developers have to come up with something extra or new. What nobody wants at this stage is for more inventory to come out and end up without buyers.